TenMarks can make a powerful difference in your classroom with tools that personalize learning, drive engagement, and save you time on grading and lesson planning. If you’re looking for ideas on how to fundraise for your TenMarks purchase, choose one (or a couple!) of these ideas to get TenMarks for your class. Ask your PTA. 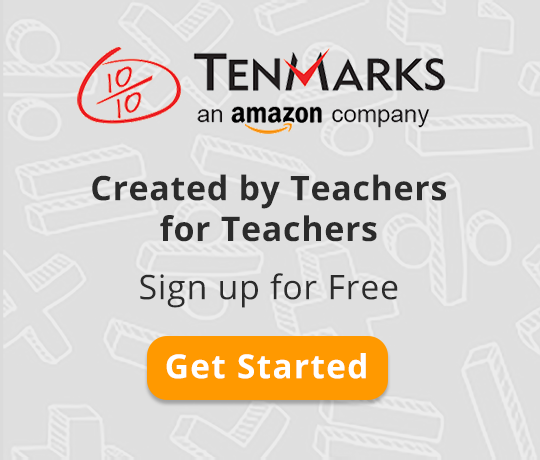 Your school's Parent Teacher Association can be a great place to ask for a classroom subscription to TenMarks. Download this PTA Letter and fill in the details about how you are planning on using TenMarks in your classroom. When it's complete, send it to your PTA. Bring it up with your administration. Read this great blog post by TenMarks teacher Susan Mattingly detailing how she got buy-in from her administration to purchase TenMarks. You can download and customize our Admin Letter as well as the research on how TenMarks has impacted student achievement across the country. When your ready to send your order to your administrator, you can easily do it right from your account! Participate in the Refer a Friend campaign. Did you know that when you refer another teacher to TenMarks and they buy, they get $20 off and you get $20 towards your TenMarks purchase? Refer a friend today! Get sponsored by local businesses. Businesses in your community often partner with classrooms to help them get the resources they need to make an impact on student learning. Reach out to companies in your local community with this flyer asking them to contribute to TenMarks for your classroom. Have other fundraising ideas you think might be helpful for other teachers? Share in the comments section below!